Learn to make circles! 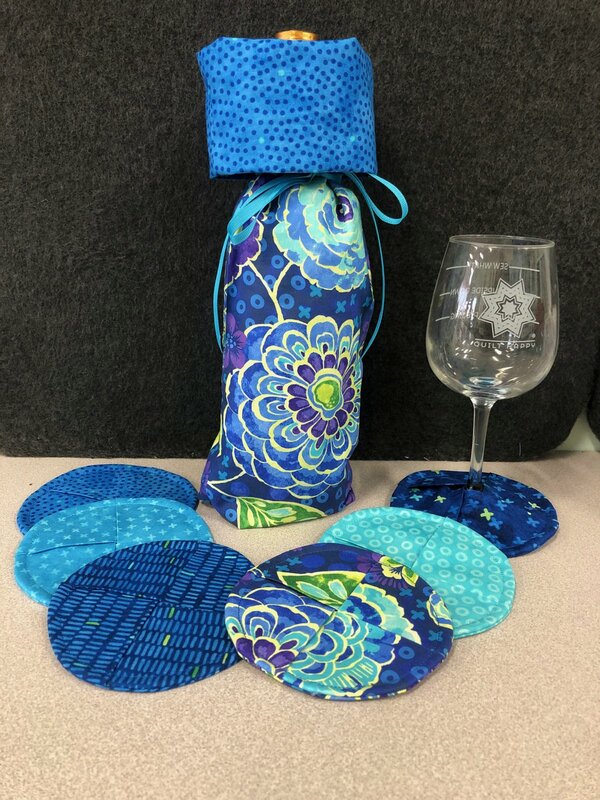 Create an elegant wine bottle gift bag and matching wine glass coasters. Use this easy technique to sew even circles and have a hostess gift that will assure your return invite! Requirements: Please read supply list and bring required items. If you would like us to put something aside for you, just ask!